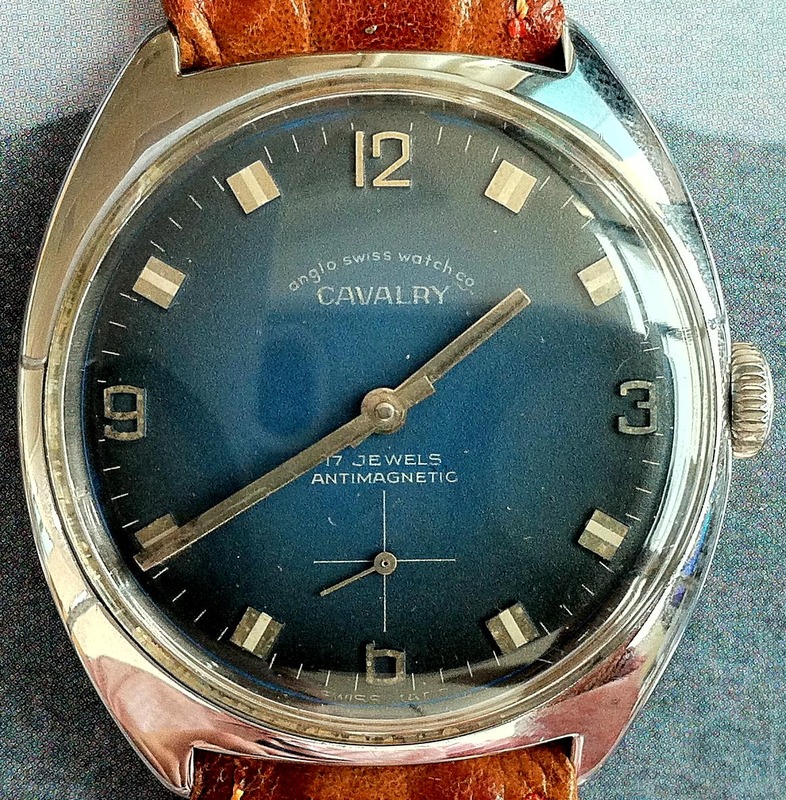 Today I am wearing a Price of Wales check, 2-button, notch-lapel suit; a blue over white graph-check shirt with tabbed collar and french cuffs; a yellow tie with small gray patterns; a brownish silk tie-dye pocket square; a pair of dark brown oxford shoes with medallion; and a vintage Anglo Swiss Watch Co., CAVALRY, split second, manual winding watch. Today, for the fourth day I am wearing all patterns and today it is the most pronounced. 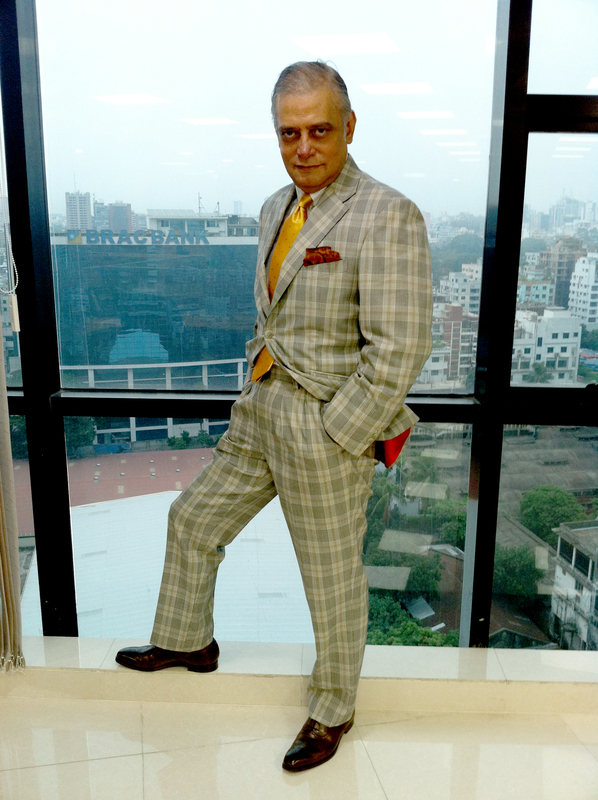 Due to the very strong and dominating pattern of the suit, I paired with a less prominent shirt with a subtle blue graph check, which from a distance appears white. Now I needed a patterned tie that will not conflict with the suit and shirt. 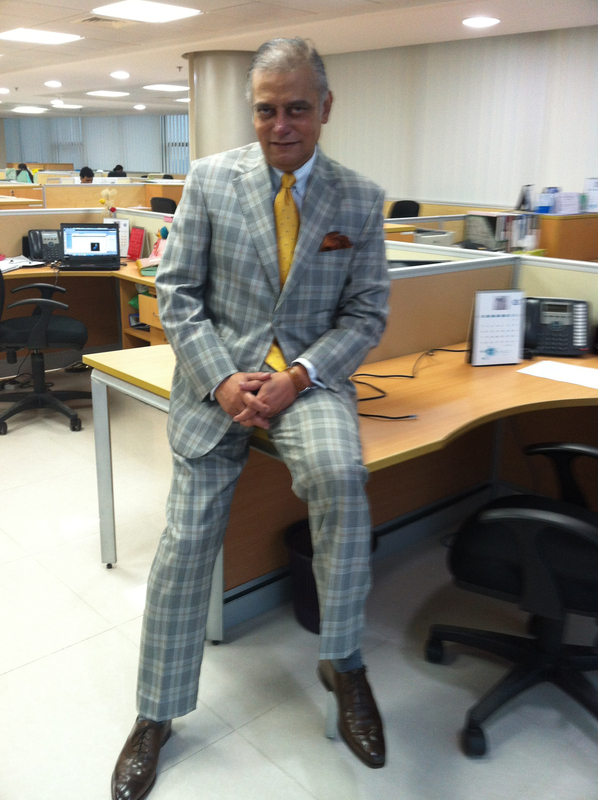 I ruled out any check or stripe as it will conflict with the bold suit. 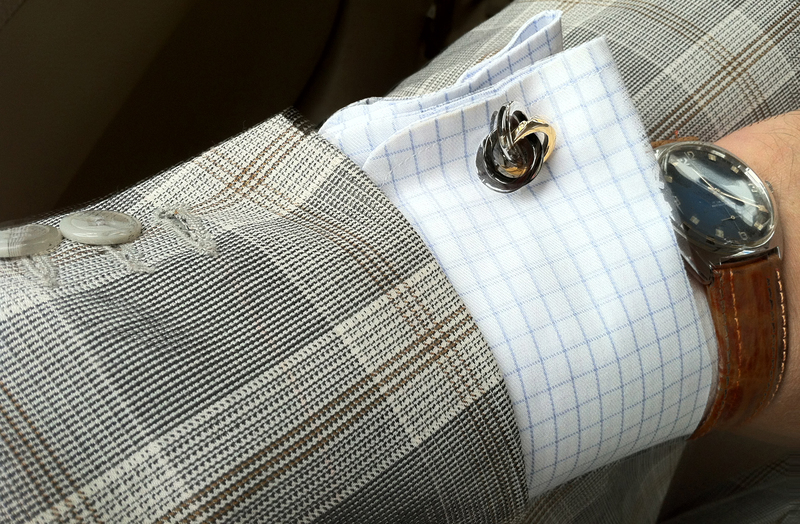 Similarly, a tie with too closely spaced dots is also not suitable as it will clash with the shirt. Therefore, I selected a tie with some widely spaced small patterns on it. 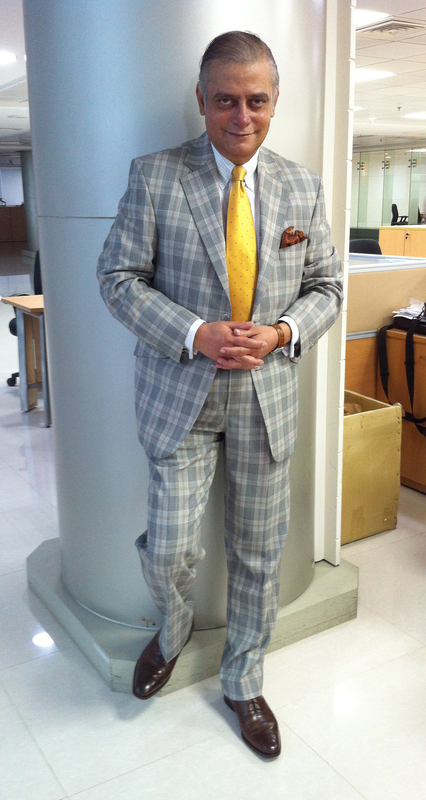 However, it is preferable to wear a white or pastel colored shirt and a plain tie with this suit. I understand little. Can you tell anyhting for selecting yellow colored tie? If you look closely, you will find the check of the suit has yellow (or golden) on it. This is the reason I selected this tie. Please note that it’s not necessary that the tie color must be yellow/golden for this combination. Other tie colors are also possible. When I was selecting a tie for this ensemble, this particular tie appeared most suitable at that time. Next time with the same combination I might select a different tie.